1. Please attend the "Welcome Assembly" at 10:15 a.m. The link to this session will appear on your daily plan in the OLS. Open office will be held at 10:30 daily so drop by if you have questions. 1. Please attend the LIVE Reading Class at 10:30 a.m. Students will sign in and complete warm up activity and live session will begin at 10:45 a.m. daily. Optional: Click on the 'Watch Me First' videos below before doing each lesson on Study Island. Optional: Go to www.study island.com and click on the ELA CCGPS tab. 1. Please attend the LIVE Reading Class at 10:45 a.m. The link to this session will appear on your daily plan in the OLS. 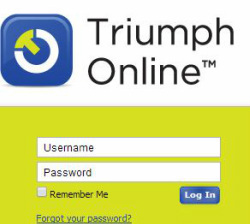 Triumph Lesson:Finish the Benchmark Assessment. For EXTRA PRACTICE, go back through the buttons on previous days 3-9. Find something fun! ﻿ A﻿ttend extra support session if needed. Reading on Demand (Daily from 1:00 - 3:00) - Link in the OLS. 1. Attend class at 10:45 a.m. Complete your summative assessment. You may take two days to complete the summative assessment. 1. Today is the last day of Summer School! Hooray!! 3. Reading re-test is Monday, June 16th.